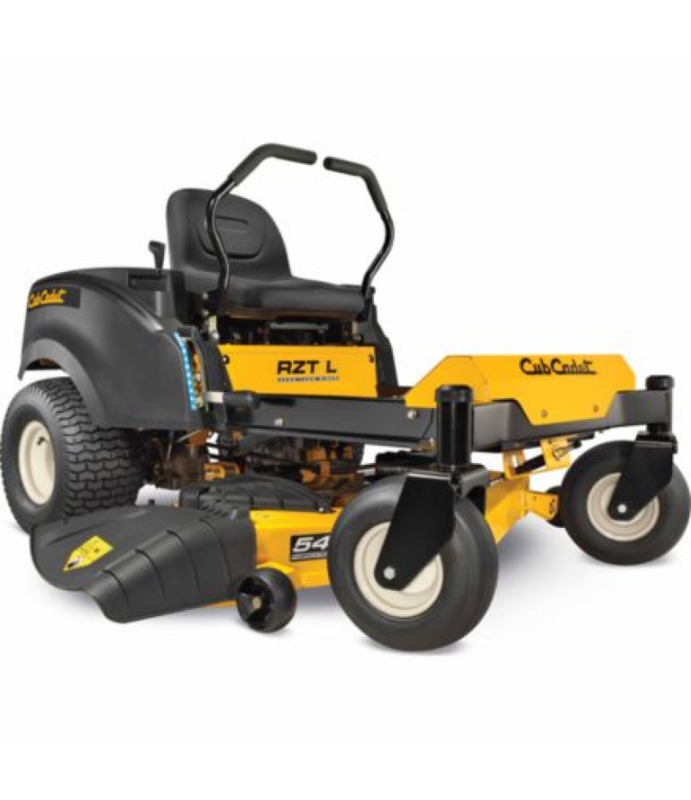 Be ready for any terrain with the Cub Cadet RZTL54FAB 54 in. 24HP Zero-Turn Mower. This Cub Cadet RZTL54FAB Zero-Turn Mower features a heavy-duty, fully-welded fabricated deck with an exclusive high-velocity tunnel that design delivers a best-in-class cut whether using side discharge, bagging or mulching. Aerospace engineers developed an advanced cutting system with optimal airflow, blade overlap and a floating 11-gauge steel fabricated deck for the perfect cut. Anti-scalping wheels deliver a professional-quality finish that will make you the envy of your neighbors. While a great looking lawn is your primary goal, you shouldn't have to sacrifice comfort in the process. That's why the RZT Series allows you to easily adjust the lap bars and also provides the longest, widest foot platform and the most legroom of any residential zero-turn.